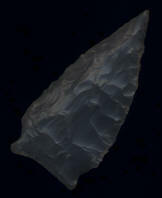 Description: Big Colorful Clipped Wing Archaic Corner Notch - It don't know if this is a Hardin Variant, or a Thebes Lost Lake Variant. 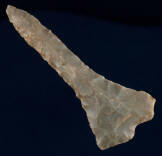 It was found in Simpson County, Kentucky. 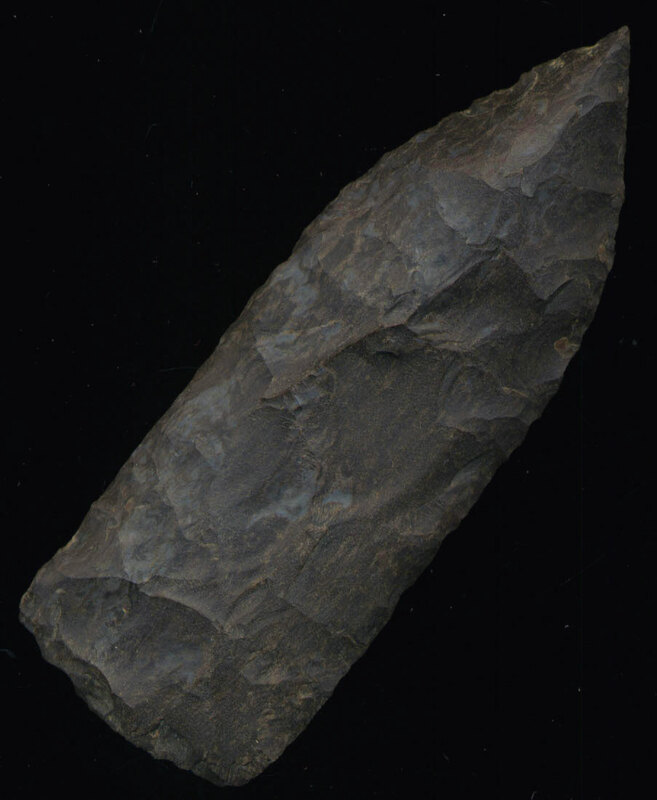 It is thin and wide and well Made. 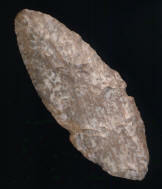 IT has a nice tip, matching "clipped wing" ears and a well made base that all fits together very symmetrically! 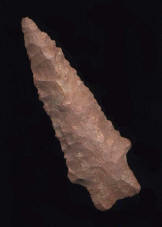 Just a beautiful piece. 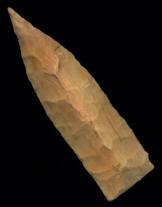 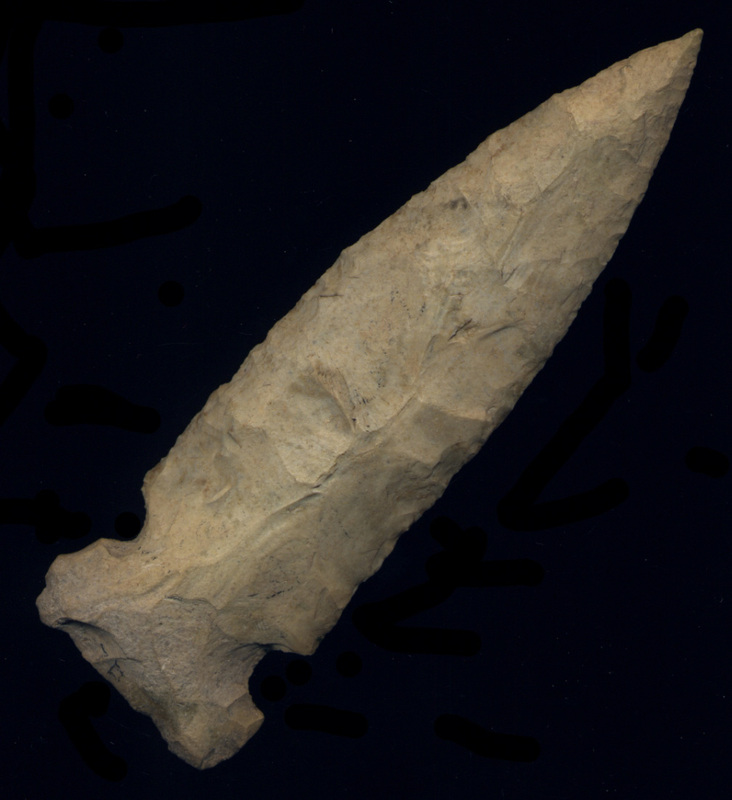 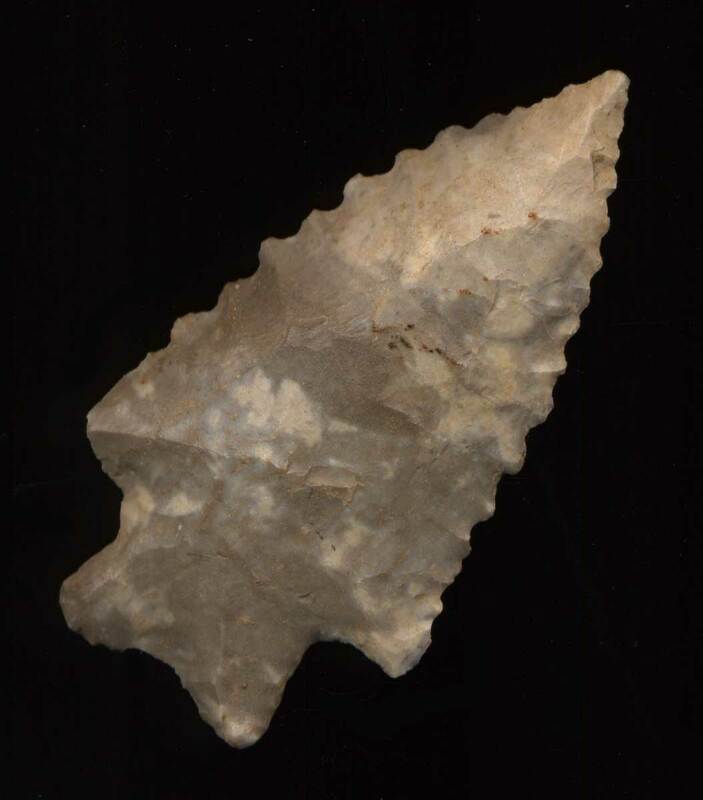 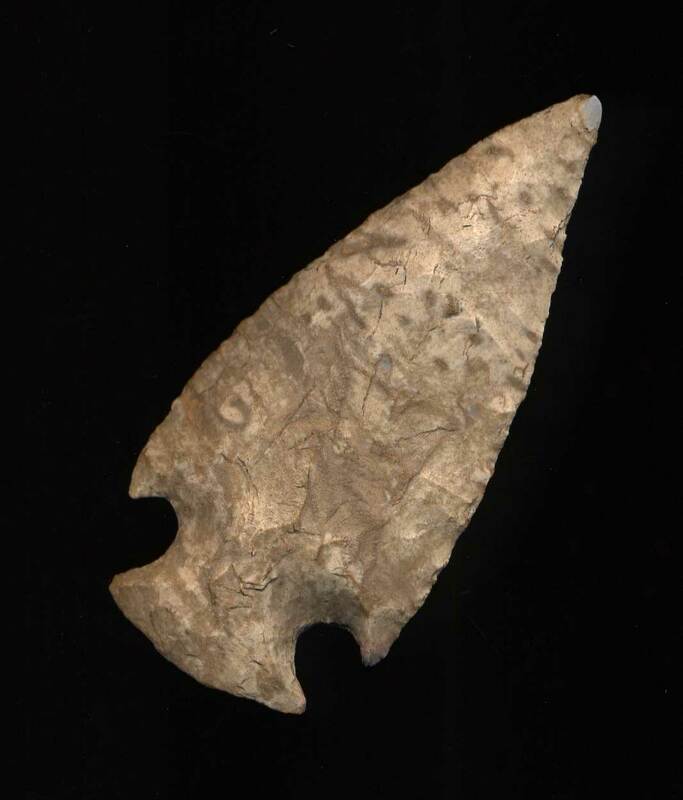 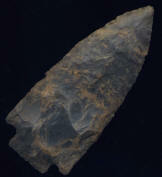 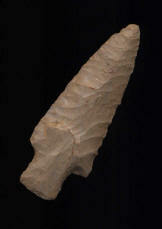 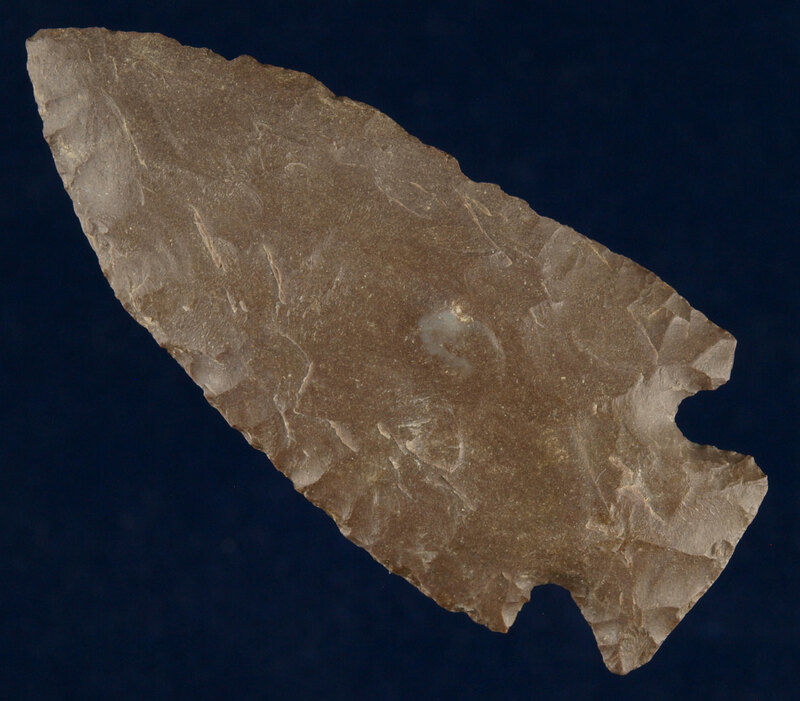 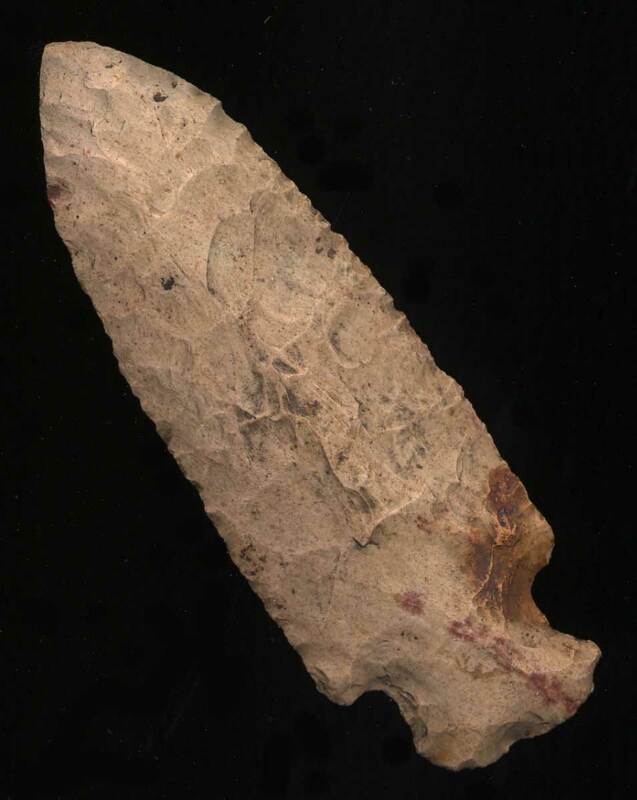 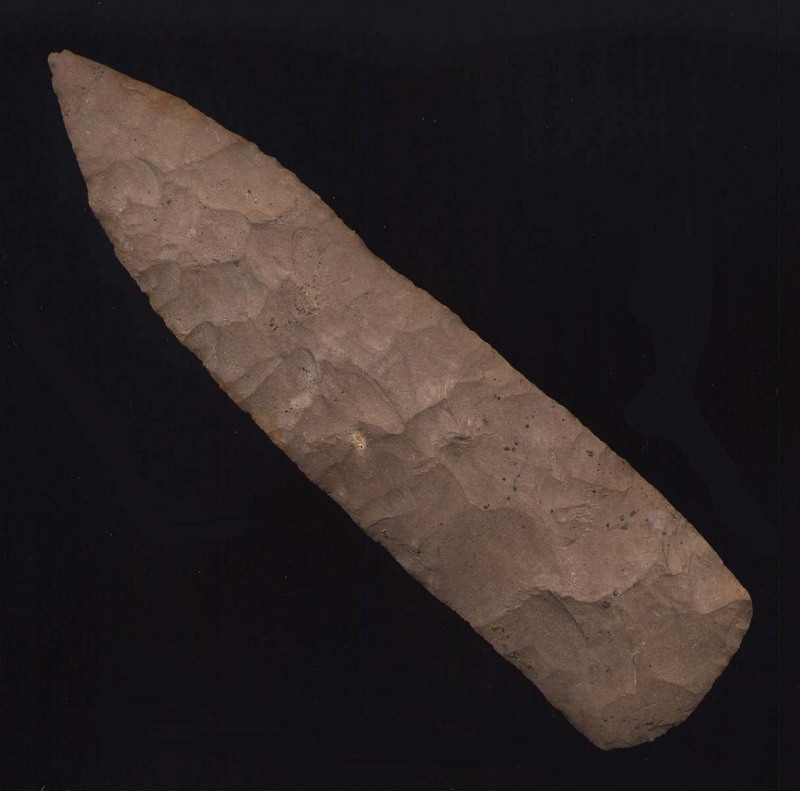 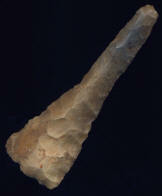 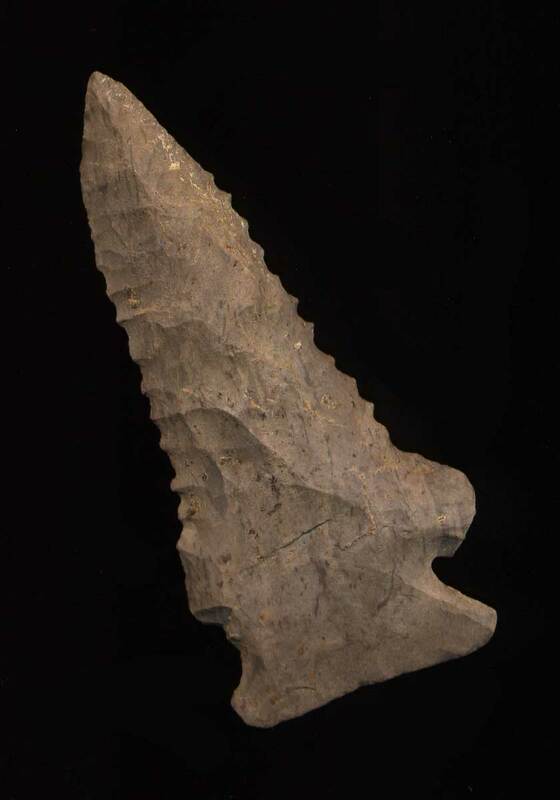 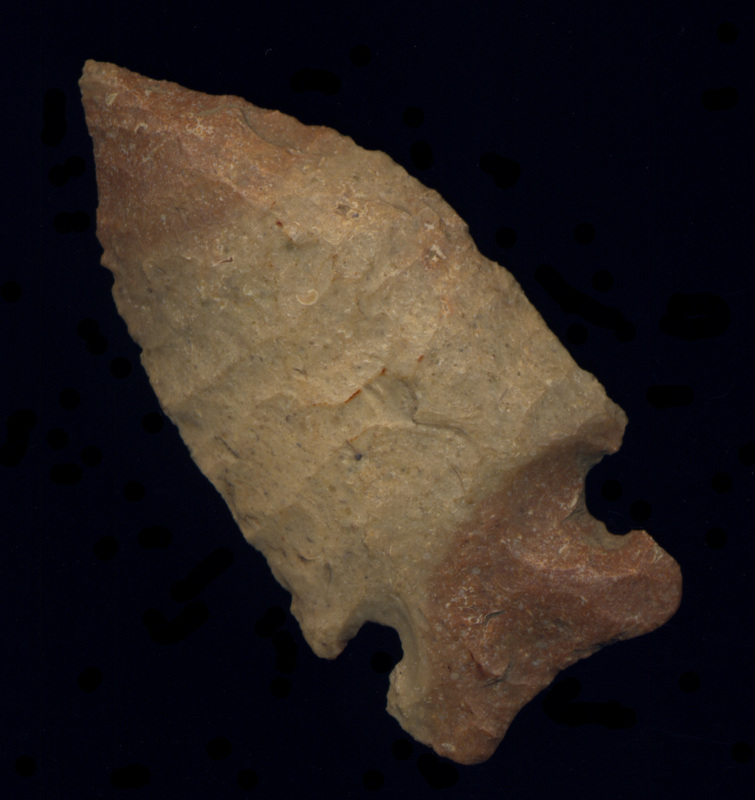 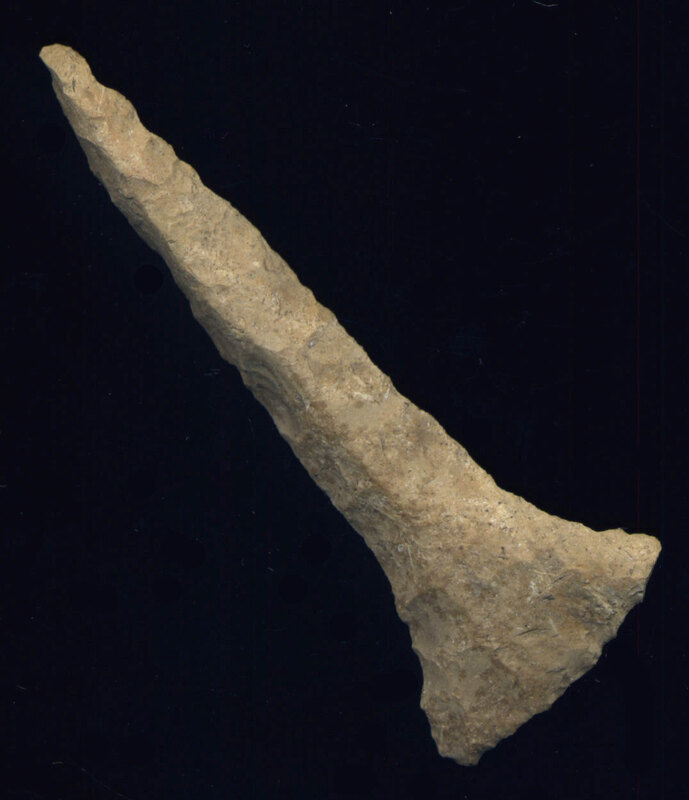 Description: Needle Tipped Motley / Buck Creek - This nice example is made of Fort Payne Chert. 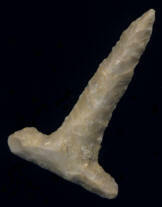 It has a needle tip and very nice symmetry. It is thin and well made. This piece was recovered in Simpson County, Kentucky in area about the size of a pickup truck bed where also a 19 piece Cache of Motleys and Buck Creeks was found. Description: Very Nice Lost Lake or Dovetail Drill - This nice drill was purchased as part a collection out of Henderson, Kentucky. 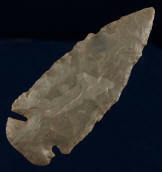 Description: Very Nice Hardin - This Colorful Hardin is made from patinated Fort Payne Chert. It was found in Simpson County, Kentucky. It has nice symmetry and flaking! Description: Nice Tennessee Dovetail - Here is a nice Dovetail that was found in Benton County, TN. 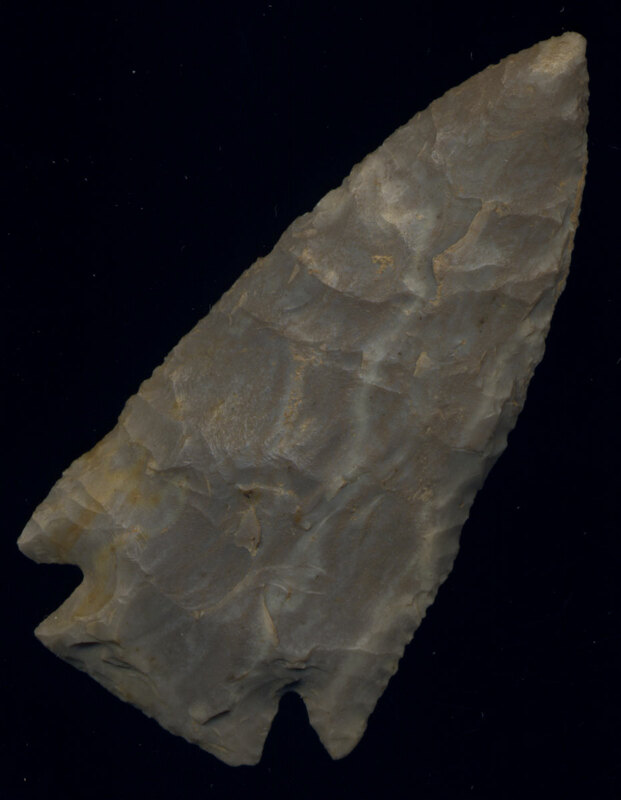 It has a few chigger bites but is well made and well shaped. 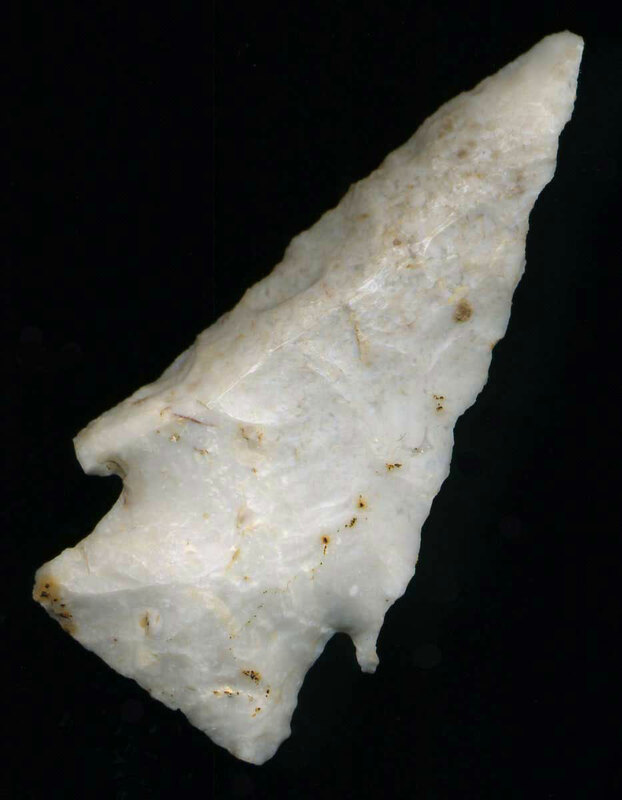 It has a little glue residue on one side that could be removed. Description: Big Fort Payne Benton - Made of Fort Payne Chert and found in Tennessee. Comes with a Tom Davis COA grading it a G-7.